Take a class, train with friends, work out in the Fitness Center—try it all. Have fun while gaining strength, endurance and increased energy at the St. Paul Eastside Y.
Y members can attend a variety of free fitness classes—categories include cardio, dance, strength, yoga and water exercise. There’s no need to register—you’re welcome to drop in at any time. Sign up for a session with a Personal Trainer. Complete an assessment and determine how to progress toward your goals. 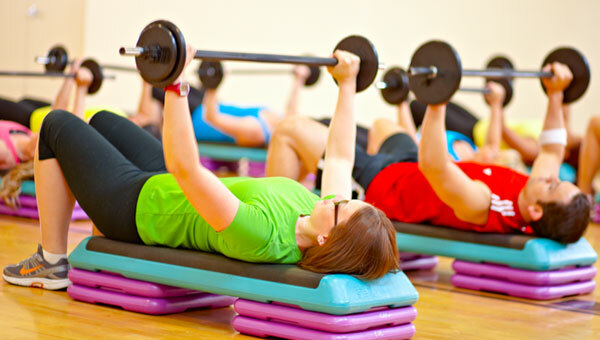 Try a specialty fitness class. Get all this and more from our expert Personal Training Team. Work with a trainer in small groups during specialty fitness classes, including Pilates Reformer, TRX Suspension, and Barre. Enroll in the 12-week Lighter U weight loss program. Get your kids moving with WellBeats. The Fitness Center includes exercise machines, stretching areas, free weights and a weight room. You can achieve a complete workout blending flexibility, strength and endurance. From questions on using the exercise or weight machines to executing squats and lunges with correct form—the Fitness Center staff is ready to help. For every hour the Y is open, a Fitness Center representative is available to help you get the most from your workout. And it’s free with membership! Be active, meet new people and have fun playing team, doubles and individual sports. Baby boomers to seniors can connect with our Y community through physical fitness, social activities and more. Programs for older adults accommodate a wide variety of interests and functional abilities.